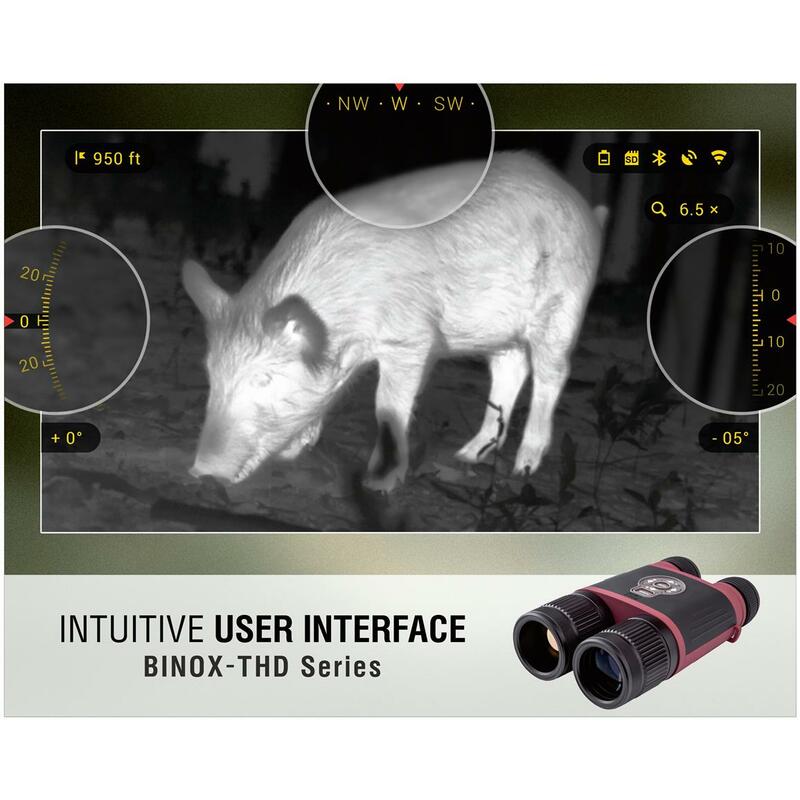 Thermal binoculars just got smarter! 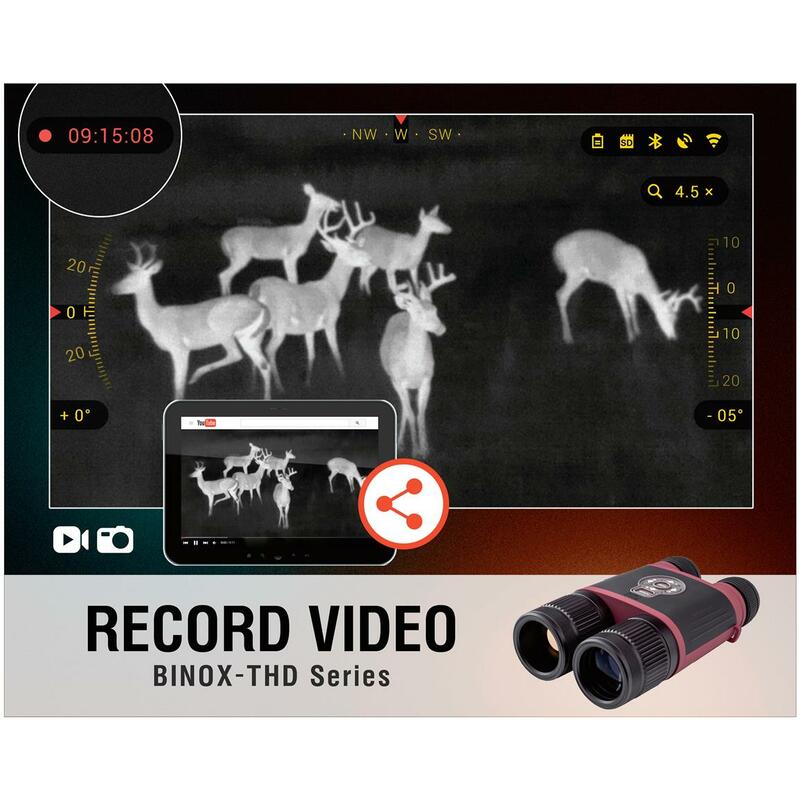 Spotting wildlife and conducting surveillance takes a huge leap forward with ATN BINOX-THD 384 4.5-18x Digital Thermal Binoculars. Peer through darkness, fog, haze, smoke, rain, snow and other obscurants, and record everything you see in digital, high definition clarity. Plus, take advantage of a full host of field-friendly features, including built-in gyroscope, accelerometer and magnetometer. For hunters, hikers and adventurers, a built digital compass, GPS and altimeter provide instant, accurate data on your position and heading. 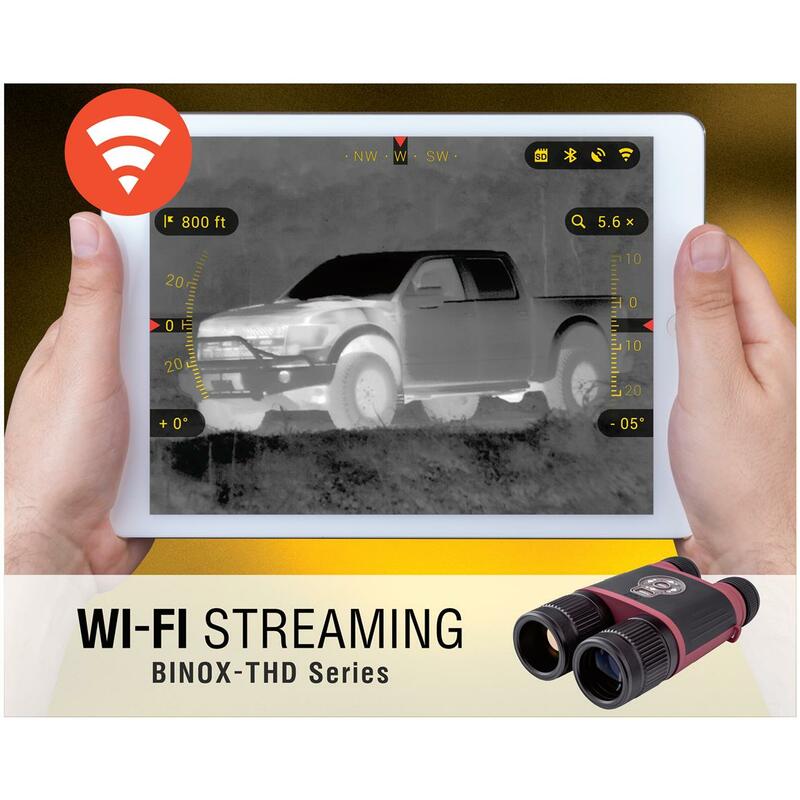 And WiFi connectivity allows you to connect to a smart phone or tablet for live streaming video, playback and sharing of photos and videos with friends and family. ATN's Obsidian Core processor delivers lightning-fast speed and lag-free performance, ensuring your technology can keep up with the fast-moving pace of your adventure. 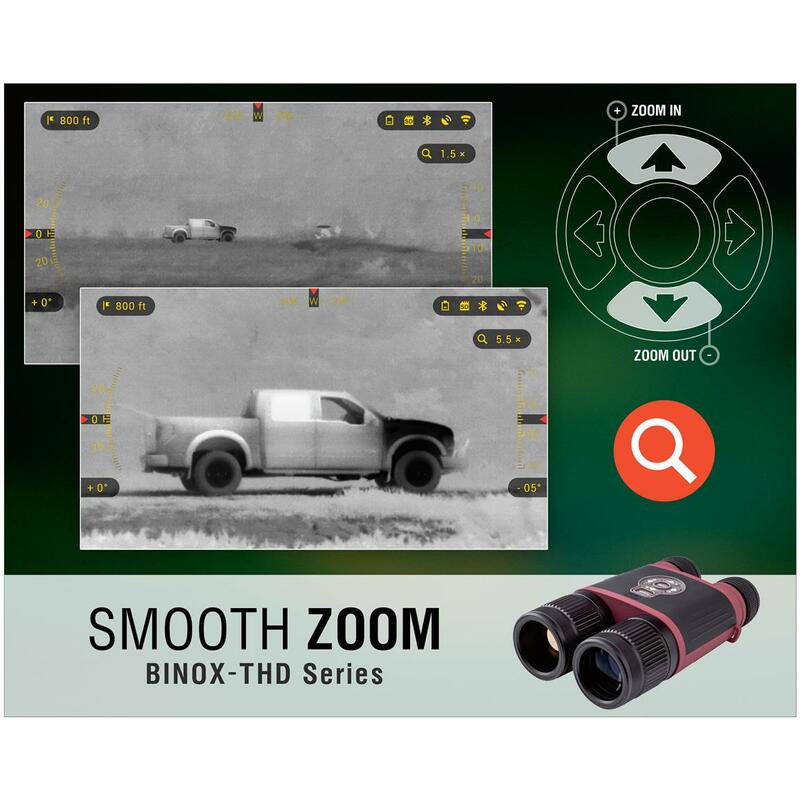 Operation is remarkably simple, and compact, weather-resistant design makes these super-smart binocs easy to pack, easy to handle and capable of operating in all weather conditions. Dimensions: 8.2" x 5" x 2.3"
Premium quality and performance in a lightweight design. 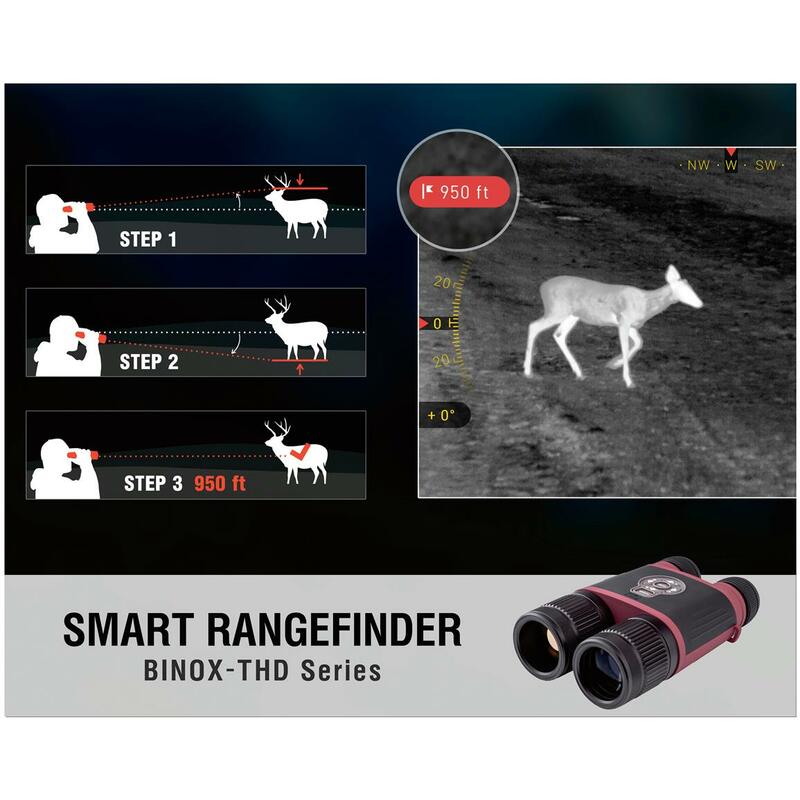 Go the distance, know the distance with powerful magnification and an integrated laser rangefinder. Get clearer images, even on rougher water. 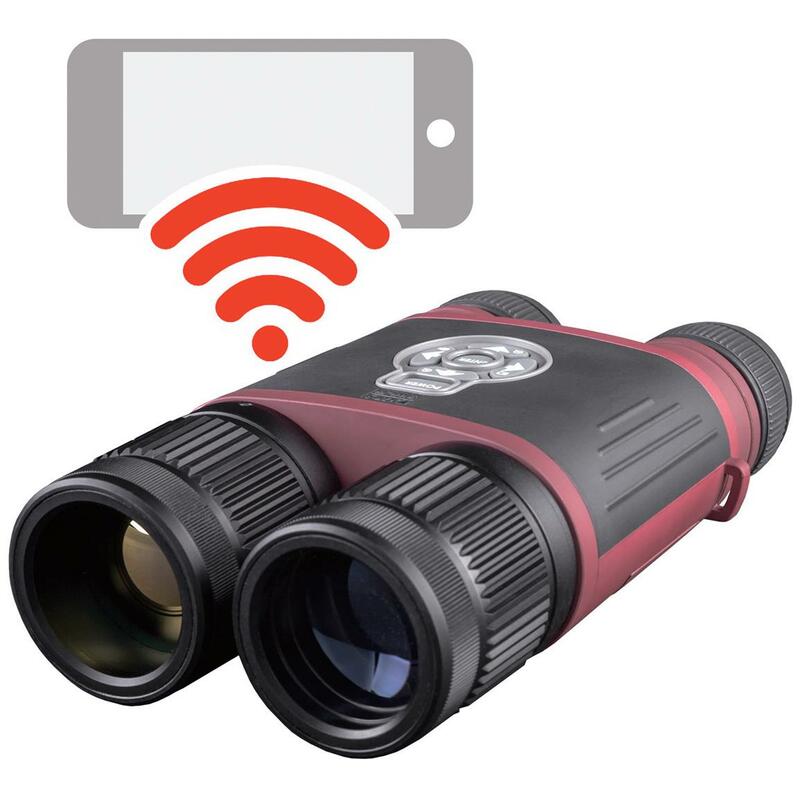 8x magnification brings wildlife up close and visually clear!